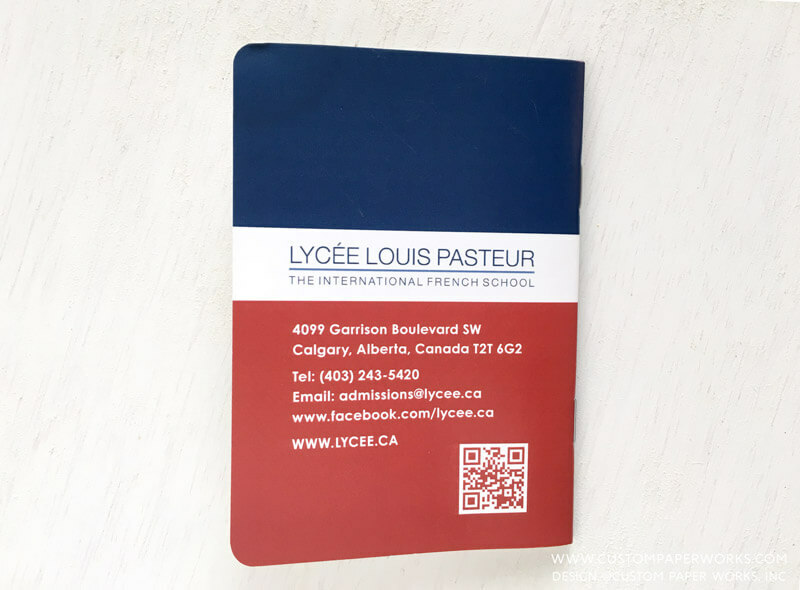 If you are looking for an interesting way to track community service, volunteer work, or general participation in any type of program, custom passport booklets are a fun way to do it. 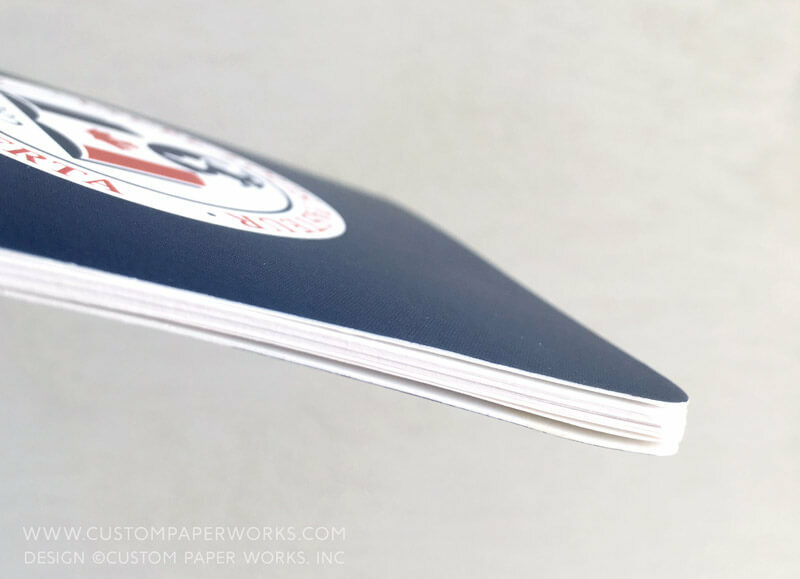 A fun new feature for our custom-designed passport booklets is the ability to personalize EACH one differently. 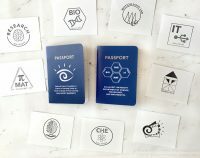 The information page of these passport books was completely customized in several fields with each student’s actual data. I added data for a pretend student and included it with the print run for the actual order so it was safe to post here. 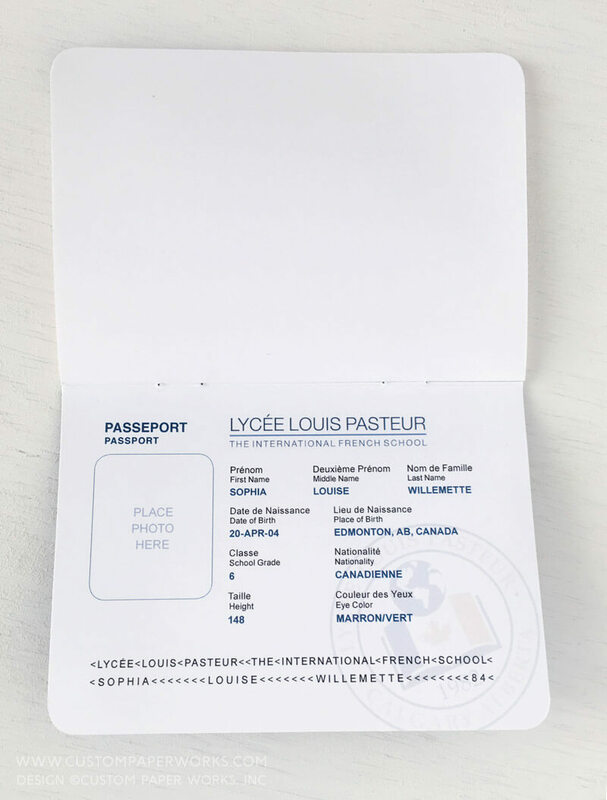 Right down to grade, height, and eye color – they made the passport info page very authentic. Students were instructed to add their own photos after receiving the passports. These particular passports were used to log students’ volunteer time and community service. The only printing inside the book was on the inside front and back covers, while the remaining pages were left blank for free-form tracking. With 28 total pages using quality paper – these ended up quite thick! 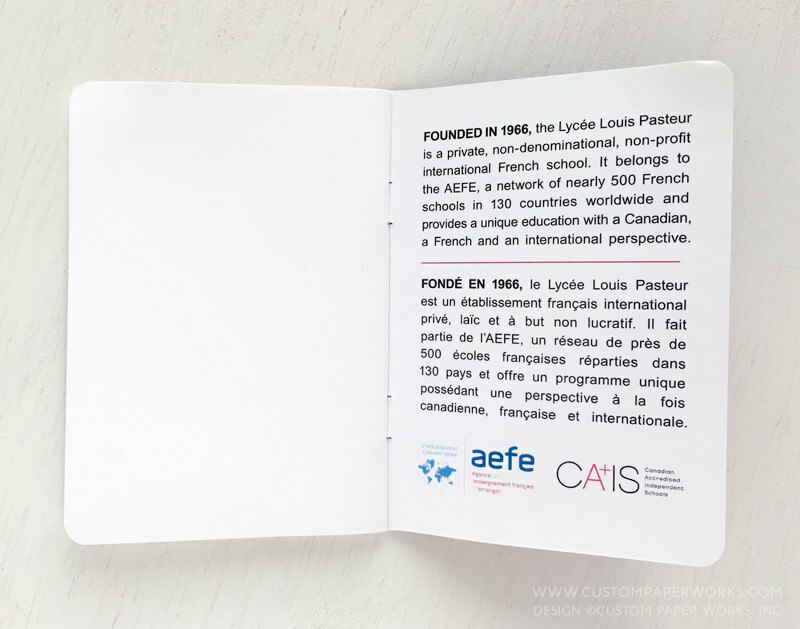 (My 6-year old son is still using the print overruns as little drawing books :) Since the school is a bilingual French/English school, almost every part of the text was translated – something we do frequently, as our typical clients tend to have friends and family from all over the globe. 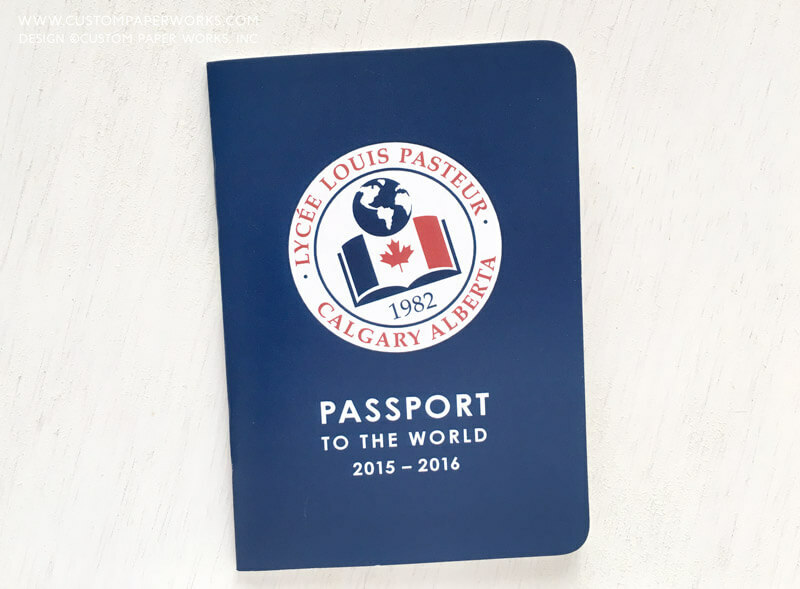 You can find more examples of our school, business and church passport booklets HERE. Yours will be completely custom-designed to your specifications and content. We’d love to create some for your students or volunteers!